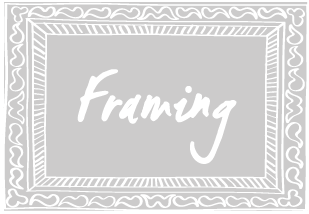 At Frames Unlimited, you’ll collaborate with a knowledgeable and experienced framing expert to help you design your framing project. Don’t know what you want? That’s okay, most people don’t. We use a simple and stress-free design discovery process through friendly, easy conversation. Together, we’ll come to the perfect custom framing combination or ready-made frame that compliments your style and space, all within budget. We guarantee you’ll love our work. If your custom framing project isn’t exactly what you imagined, contact us and we’ll make all the necessary adjustments to guarantee you’re 100% satisfied. If you can dream it, we can frame it. Frames Unlimited has an extensive portfolio of custom framing projects with a vast selection of framing materials to meet all of your needs. From photographs to jerseys, artwork big or small, flat or three-dimensional, we have the capabilities to build a custom framing solution for just about anything.